Fold & Cut Paper Art Activity Kit - Make Colorful Animals & Designs! 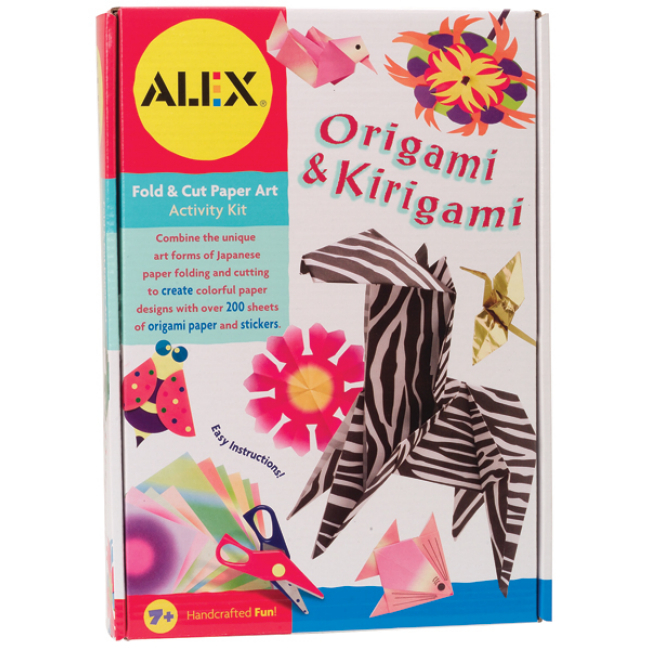 The Origami & Kirigami Kit is a fold & cut paper art activity kit with over 200 sheets of origami paper and stickers. This kid's craft kit contains 78 square sheets in assorted colors and sizes (including silver and gold), 40 round sheets in assorted colors and sizes, 48 round stickers, 18 animal-print sheets, 18 multi-colored sheets in 3 assorted patterns, craft scissors, and easy instructions. This kit includes everything you need to get started in origami & kirigami! 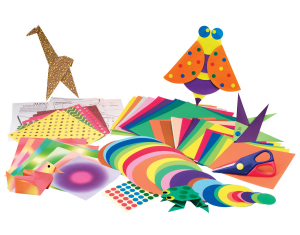 Kids will have fun as they learn how to combine these unique art forms of Japanese paper folding & cutting to create colorful paper designs. Handcrafted fun from ALEX. This kit is recommended for ages 7 and above.